The Prince will visit two castles and one college. 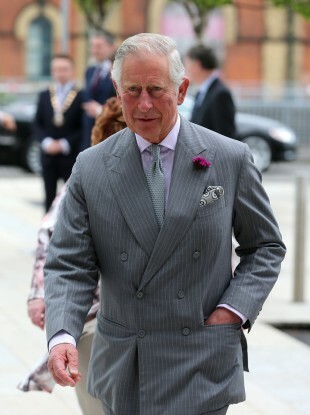 CHARLES, THE PRINCE of Wales and Camilla, The Duchess of Cornwall will arrive in Donegal on an official visit today. The heir to the British throne is on a trip to the island and was in Belfast on Monday and Derry yesterday. They will take in Donegal town today, where they will visit Donegal Castle, The Diamond and Magee of Donegal – a company which makes tweed. They will then go to Letterkenny IT for a civic reception. The Prince of Wales will remain at Letterkenny IT and visit an exhibition on start-up companies based at the Institute, and local food producers, while the Duchess will visit a local school. The royal couple will then visit Glenveagh Castle and gardens and meet with local children who participate in education programmes at the National Park. The Prince of Wales and The Duchess of Cornwall visited County Galway, County Clare and County Sligo in Ireland in May 2015. Email “Prince Charles is heading to Donegal today”. Feedback on “Prince Charles is heading to Donegal today”.